OSHA is Cracking Down on Silica Exposure. Are you Ready? 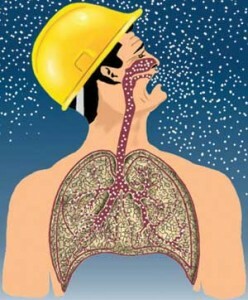 It is estimated that 2 million workers are exposed to dangerous amounts of silica dust every year. 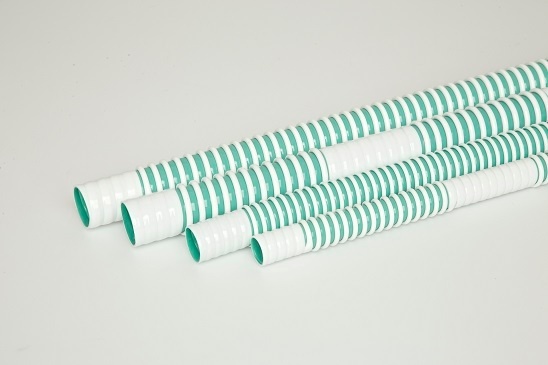 While dust or particulate matter doesn’t carry the urgency of a leaking gas pipe or even trips and falls – many call silica the Silent Killer. 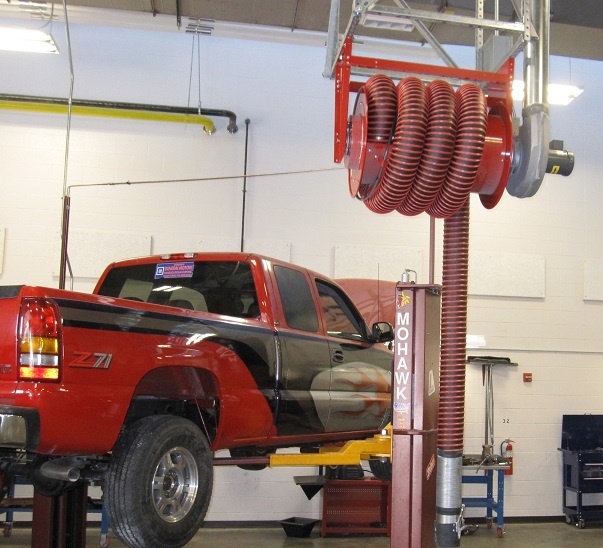 Why Are Indoor Vehicle Exhaust Systems Critical? While winter is a strong season for industries like logging and energy, it can cause a number of problems for construction companies. Workers must take precautions to ensure peak productivity, structural integrity, and most importantly operational safety. What’s Driving Record-Breaking Growth in RV Sales? For eight years, the recreational vehicle market has been steadily growing. This year, the Recreation Vehicle Industry Association expects RV shipments to reach their highest levels yet. The two major RV manufacturers in the US, Thor Industries and Winnebago Industries, each saw remarkable growth of more than 50% over last year. This is largely due to recent major acquisitions by both companies. But even so, what’s driving more buyers to purchase RVs? 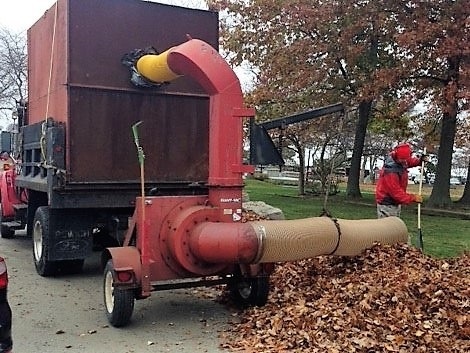 Are You Ready for Leaf collection fall clean-up? As we wrap up the summer season, it’s time to look forward to fall. For landscaping professionals and municipalities, this means preparing the fleet for leaf collection activities. There are a number of factors to consider when setting up rental tents – and ensuring the comfort and safety of guests is a top concern. For this reason, many tents come equipped with portable, temporary ductwork to provide necessary air conditioning, dehumidification, and/or heat. Choosing the correct hose is vital to make sure it will meet the needs of an intended application. 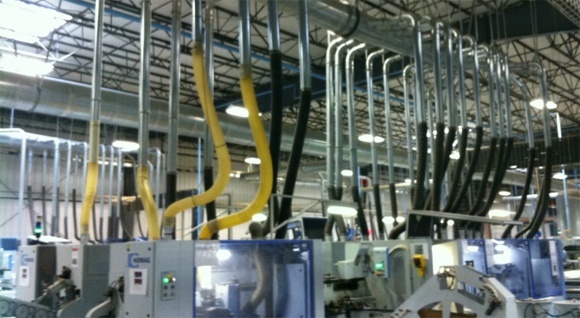 Recently our blogs have looked at why it is important to choose the correct flexible hose as well as what static conductive and static dissipative flexible hose means. 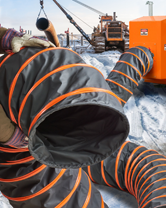 In this blog we will look at the importance of high-temperature hoses and the applications they are used for. 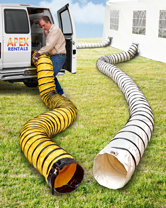 In one of our most recent blogs we went over why is it important to choose the correct flexible hose, and listed some of the critical factors that should be considered when making that decision. Another factor that it important when choosing the right flexible hose to meet your requirements is electrical conductivity and static resistance. 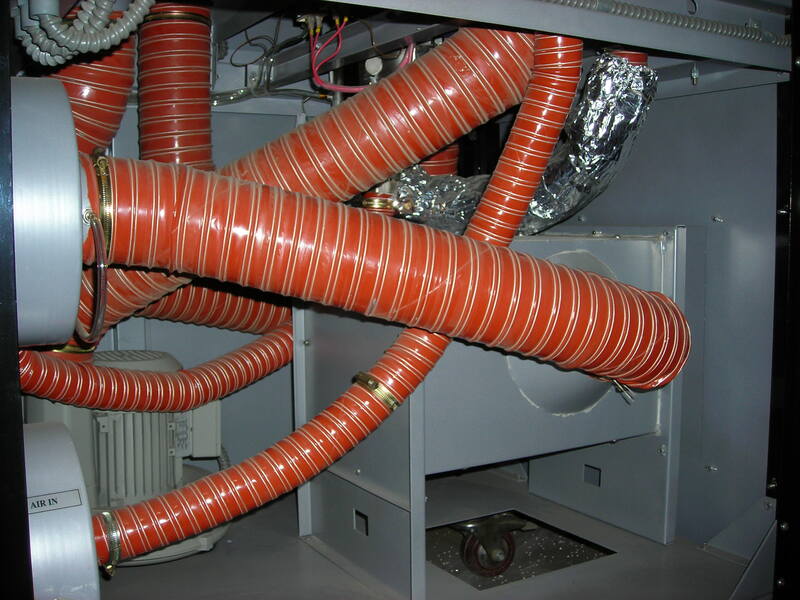 If a hose with the wrong electrical resistance rating is chosen, the potential for static sparks that could interact with dust particles and set off fire or explosions increases. To help decide which hose is appropriate for a specific situation, many times they are labeled as static conductive or static dissipative based on the materials used to make them. Welding continues to be an excellent career choice, as the demand continues to rise with the older generation aging out of the workforce. Filling these positions is a concern, while welding shops and business continue to grow. With this sort of turnover and growth, one of the primary areas that needs to be paid attention to is safety. 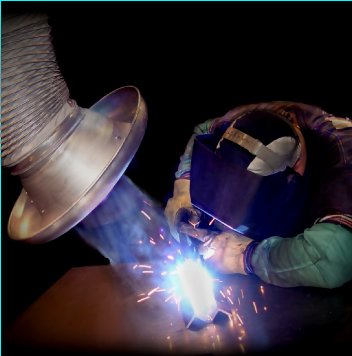 The hazards for welders can be high, and individuals and companies have to meet these safety issues head-on. One of the significant aspects of the world economy is the grain trade. Grains make up a large portion of the world’s food supply, and there are many facilities devoted to grain handling. 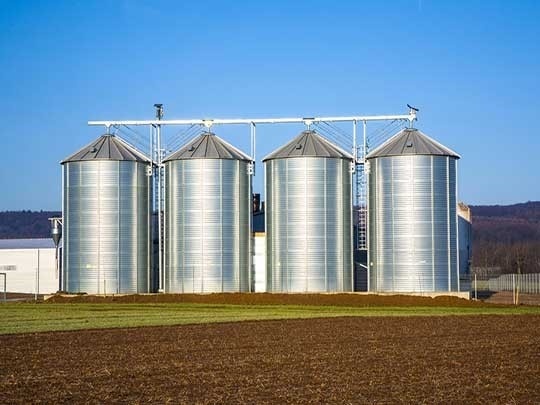 Within these grain facilities there are numerous occupational hazards that could be potentially dangerous to employees if they are not addressed.